RJC Yacht Sales & Charter sell the 1996/2010 87ft Broward LUKOUSAURUS in-house! RJC Yacht Sales is pleased to announce the sale of the 1996/2010 87’ Broward Motoryacht, LUKOUSAURUS today, an in-house deal sold by Bob Cury and listed jointly by Bob Cury and his associate, Raymond Young. The vessel completed a total refit in 2010 to include new exterior paint, majored engines and new electronics, A/V and more! The vessel featured a three stateroom layout with formal dining and oversized bridge with Jacuzzi. She will be renamed REVELRY and will travel to the Chesapeake and New England for the summer season! Bob Cury at RJC Yacht Sales has now taken over the central agency for the sale of the 112′ yacht SYMPHONY II with a $550,000 price reduction. SYMPHONY II was built by the Westport yard in 2001 to a Jack Sarin design and has proved to be a very successful charter yacht. SYMPHONY II has just completed a six month refit to include a W6 overhaul of her main engines, servicing of all underwater running gear along with a new bottom job. In addition, her interior has been upgraded. 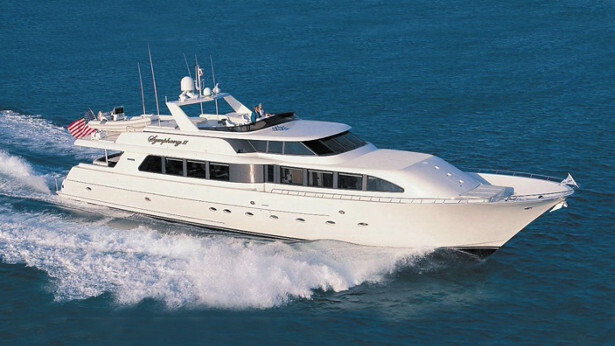 SYMPHONY II features a four stateroom layout along with a large salon, aft deck and gourmet galley. Her extensive flybridge features a custom hardtop, wet bar, spa pool and oversized outdoor dining area. The new asking price on SYMPHONY II is now $4.395 million, down from $4.95 million, and she is currently in the Bahamas, returning to Fort Lauderdale in May. CHASING DAYLIGHT – 108′ Broward MY – Charter feedback! I have received the feedback from the clients. Really, I always get the best feedback for your charters. I wish we could clone you and your crew. Thank you so much again for taking such great care of the guests!! Four Boats Sold in April By David Wiest! RJC Yachts is proud to announce that David Wiest has sold and closed on four yachts in the last two weeks to include the 2000 75’ Hatteras CMY, VICTORY (Merle Wood & Assoc., listing brokerage.) the 1990 70’ Hatteras MY, ELOQUENCE (Allied Marine, selling broker) and two in-house deals, the 2006 65’ Marquis MY, BRAVO ZULO (Raymond Young, listing broker) and the 2008 38’ Tiara, MGM. Three of these vessels were sold to long-term clients of David’s and our congratulations go out to him for a great start of the second quarter! 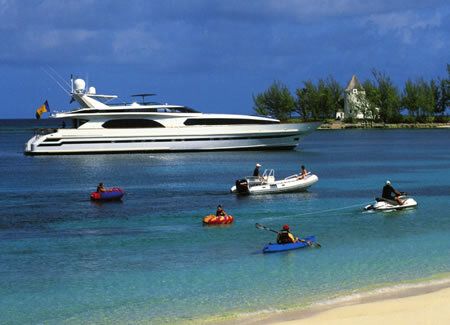 RJC Yacht Sales & Charter sell the 2007/08 124ft Broward – AQUASITION! 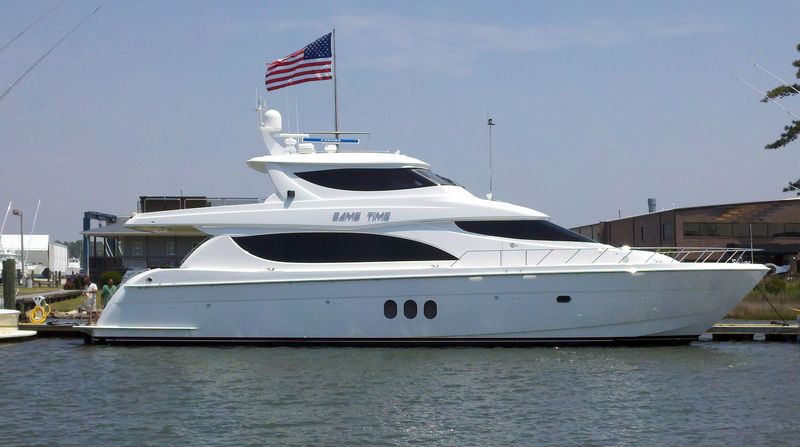 RJC Yacht Sales is pleased to announce that we have sold and closed on the 124’ 2008 Broward Motoryacht, AQUASTION. 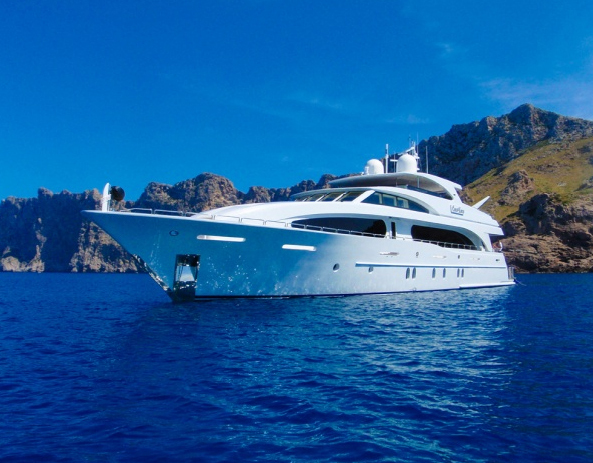 Bob Cury represented the seller as central agent and Ron Hirshberg of Galati Yachts represented the buyer. This luxurious Motoryacht represents the newest and most highly customized Broward and built to Lloyds Maltese Cross 100-A1 classification. Modern exterior styling and naval architecture by Evan Marshall combines with a custom high gloss cherry interior by Genesis of Viareggio, Italy, creates a spectacular beauty inside and out. The vessel accommodates ten guests in five well appointed staterooms to include an on-deck Master stateroom with his and hers onyx bathrooms with central Jacuzzi and separate shower featuring custom cappuccino/ onyx marble slabs for the floor, shower and tub surrounds. Comfortable main salon and dining salon feature custom carpeting along with silk and leather furnishings. 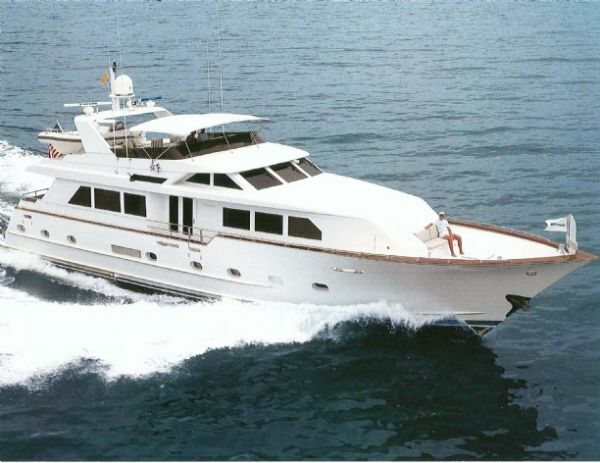 A gourmet galley and oversized air conditioned aft deck complete the main deck layout. The spectacular flybridge features a sit-down bar, comfortable seating/dining, circular jacuzzi, jet tender and custom hardtop. AQUASTION was asking $8.995,000. and the new name of the vessel will be VIVA MAS! 123′ Oceanco Motoryacht – CAPRICE – Bahamas / Exumas Charter Video! Watch this complete video on how your next trip to the Exumas will be like aboard the beautiful motoryacht CAPRICE!